(NAPSA)-Sooner or later, all car batteries have to be replaced. The good news is that by taking a few simple battery maintenance steps, you can avoid the cost and hassle of getting stranded with a dead battery. Excessive heat and overcharging are the two main reasons for shortened battery life. Heat causes battery fluid to evaporate, thus damaging the internal structure of the battery.A malfunctioning component in the charging system, usually the voltage regulator, can allow too high of a charging rate, leading to slow death for a battery. Colder temperatures can also be a problem, increasing the thickness of the engine oil, making the engine harder to turn over and the battery work harder. This makes for harder starting. Have your battery tested-and replaced if necessary-in the fall and spring. This reduces the chance a dead battery will leave you stranded on the side of the road. Keep the top of the battery clean. Dirt becomes a conductor, which drains battery power. Further, as corrosion accumulates on battery terminals, it becomes an insulator, inhibiting current flow. The Car Care Council is a national nonprofit organization providing information for the “Be Car Care Aware” consumer education campaign that promotes the benefits of regular vehicle care, maintenance and repair.For more information, visit www.carcare.org. Remember to keep the top of a battery clean. Dirt becomes a conductor, which can drain battery power. 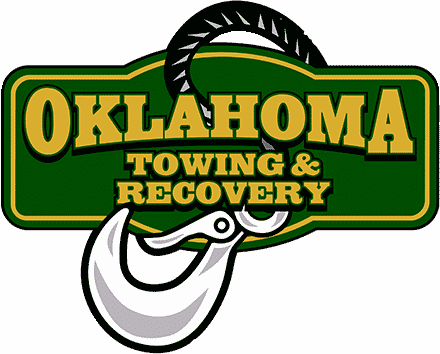 Should you find yourself stranded with battery problems, remember the Oklahoma Towing & Recovery is only a phone call away. We can get you going again in as little as 30 minutes. Call 405.896.0606 anytime, 24 hours a day.